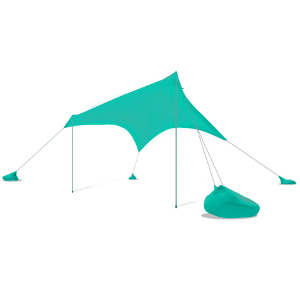 Otentik Sunshade, lightweight, 50+SPF, wind proof, pop up, beach tent, sun shelter. 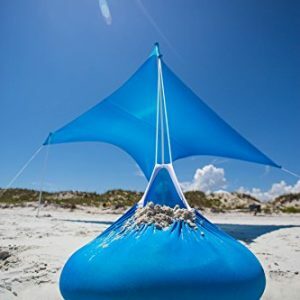 The best sunshade at the beach which uses sand bags instead of stakes or pegs. 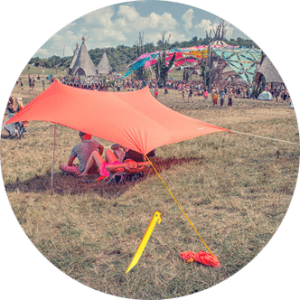 The Otentik Sunshade’s user friendly design uses sand bags and can be used on any surface for up to 6 people. 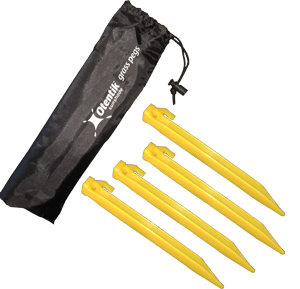 This is a must have product for all beach and outdoor lovers. 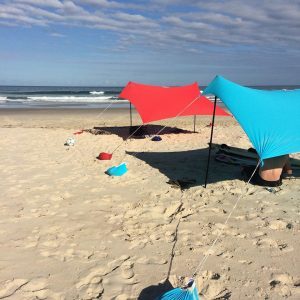 This sunshade is really fast, fun and easy to set up in under 90 seconds. One of the significant bonuses of this sunshade is that it makes use of what the environment has to offer, without having the effort of getting stakes/pegs in or out. 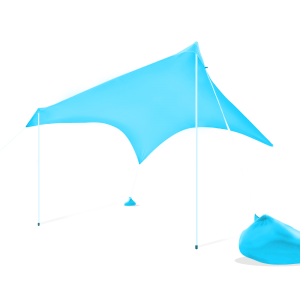 Otentik’s mission is to continue to develop smart solutions and products to use at the beach or anywhere outdoors. Material: Quality Microfiber lycra fabric UPF 50 made with special compound for weather resistance. 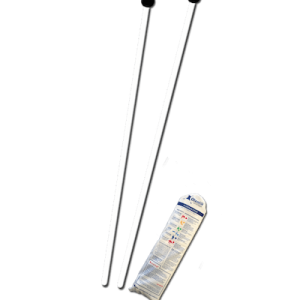 In The Kit: The full kit includes the sand bags, aluminum poles and carrying bag.